Adam Grant (TGLS 2015) gave Summit attendees an insightful look into a workplace that contains givers, takers and matchers. 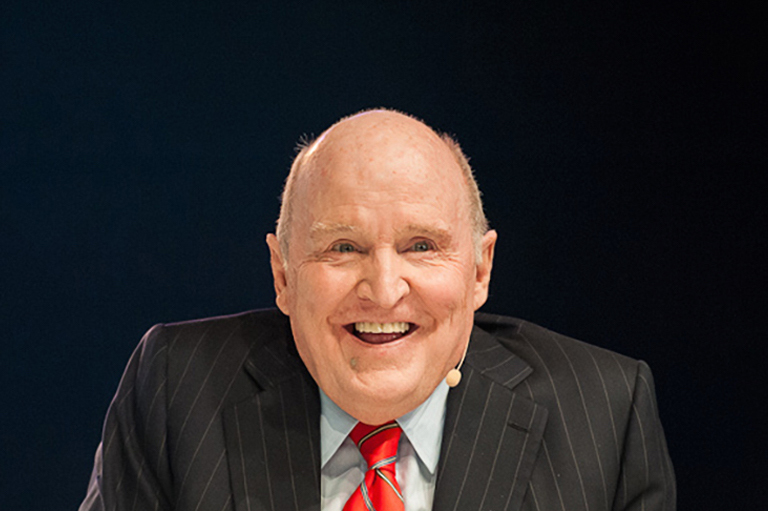 He recently interviewed Suzy and Jack Welch (TGLS 2010) about their new book The Real Life MBA. The interview focused on common leadership mistakes. It was originally published here, with video, on Adam’s LinkedIn Influencer page. They don’t invest in developing their people. Many leaders are threatened by talent, fearing that they won’t be the smartest person in the room. Great leaders have the “generosity gene,” Jack says. They “love to see people grow and prosper.” By making other people smarter, they’re able to multiply the organization’s capabilities. I couldn’t resist asking: has Neutron Jack gone soft? They reward people who have great results but bad behavior. The data: the negative impact of a selfish person on a team exceeds the positive impact of a generous person. It’s nice to have the right people on the bus, but critical to keep the wrong people off the bus. One bad apple can spoil a barrel, but one good egg does not make a dozen. All too often, leaders focus on creating strategies that will take their companies in promising new directions, but fail to clarify why employees’ contributions matter. Suzy Welch points out that great leaders are Chief Meaning Officers: they show employees how their work connects to the organization’s mission, and what’s in it for them. The data: when call center leaders illuminate how the organization’s products and services make a difference, employee productivity spikes by 28 percent per shift. They don’t let people know where they stand. Too many leaders leave employees in the dark about how they’re doing. “Guess what: Your employees are going home every day drawing 20-70-10s,” Jack notes, “because they can’t stand the fact that you don’t know who the turkeys are.” When leaders do give feedback, they stay vague, telling employees their performance is poor or excellent without fully explaining why. Great leaders emphasize behaviors that worked, so employees can repeat them, and those that didn’t, so employees can learn to change them. The data: over a third of feedback conversations make performance worse rather than better. The feedback that helps is specific: it moves away from the self and toward the task. That way, employees can learn from their successes and their shortcomings. They only hire from elite schools. They don’t give people the confidence to try new things. The data: when leaders have high expectations for employees, even if they’re not unusually talented, they rise to the occasion, working harder and achieving better results. A great leader is someone who sees more potential in you than you see in yourself.